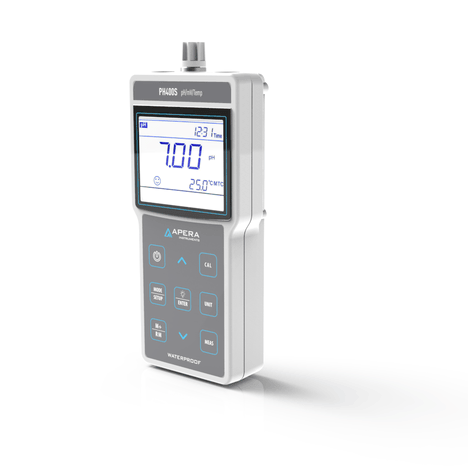 The Apera Instruments PH400S Portable pH Meter Kit provides reliable pH measurements with various intelligent functions and a durable structure. 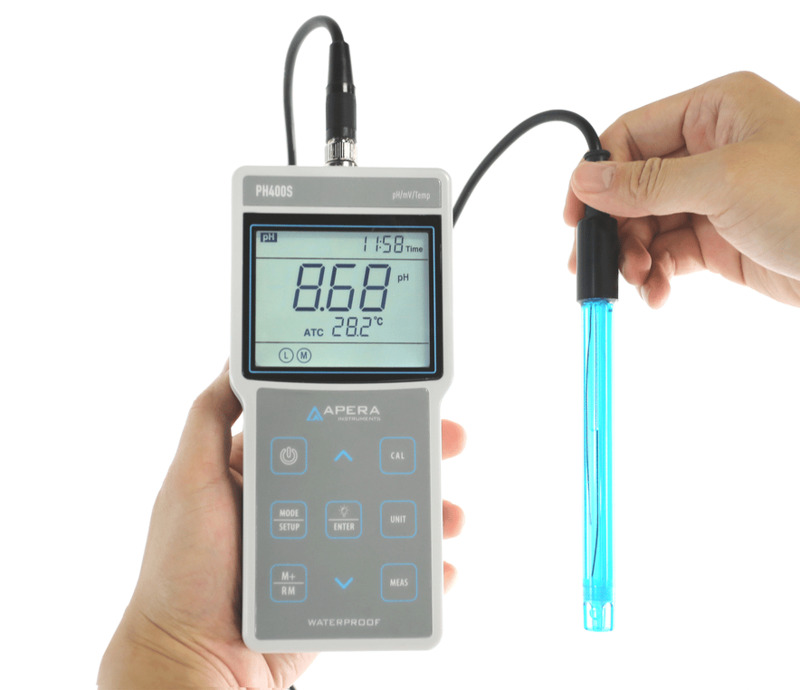 Equipped with Apera's high quality 201 T-S 3-in-1 pH/Temperature Electrode/Probe, the meter tests pH and temperature in a quick and accurate manner. Intelligent Functions: Quick & Easy 1 to 5 Points Auto Calibration. 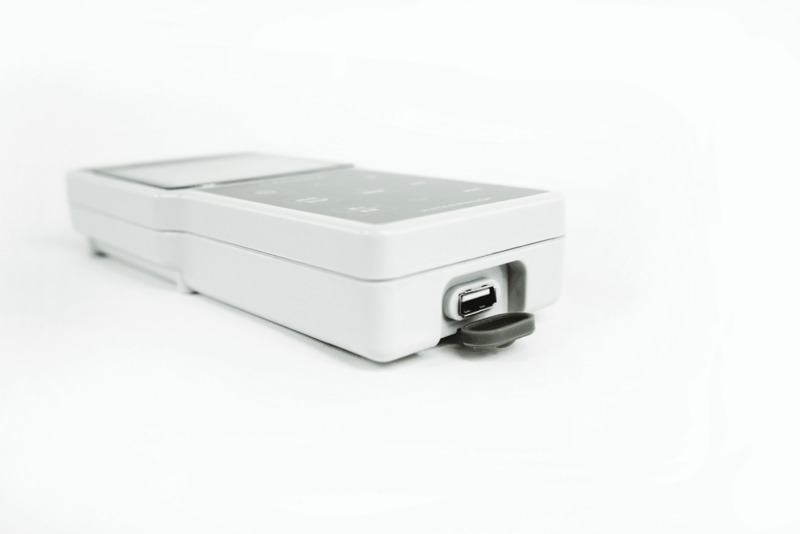 The Smart Self-Diagnosis helps you conduct proper calibrations and determine the condition of your probes. GLP Data management (500 groups of data storage), USB data output and power supply. Timing measuring/data logging mode and Smart calibration reminder function available. Purified water and ammonia-added purified water measuring modes available. 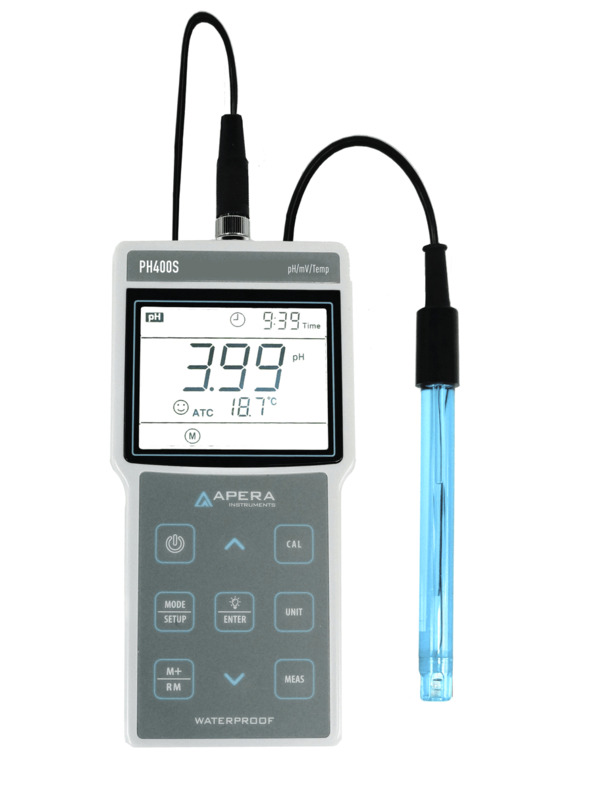 The large clear LCD displays pH/EC and temperature simultaneously along with icons of stable readings and finished calibrations. Reliable Structure: IP57 Waterproof and Dustproof, ideal for use in harsh environments. 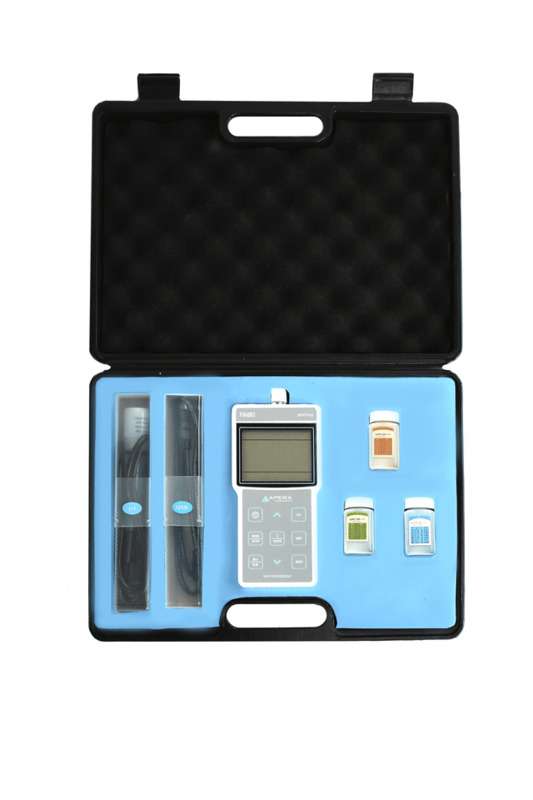 It comes with a complete test kit including a meter, a pH electrode, a USB cable, PC-Link Software Disk (only works for a Windows-based system), and 3 bottles of calibration solutions all in a rugged carrying case. Powered by AA Batteries. Two-Year warranty for the meter. CE certified.